Write well-structured, thesis-driven papers, by identifying core concepts, theories and histories of film and media, applying relevant scholarly sources, in a clear writing style, to formulate and support a critical argument. Compare and differentiate between global filmmakers, film aesthetics, and film industries in international cinema. Evaluate and analyze historical and theoretical perspectives relevant to film and media, such as genre, form, reception, and narrative. Produce research papers that demonstrate sophisticated evaluation of film and media scholarship, using specific disciplinary terminology relative to film and media aesthetics, criticism, and history. 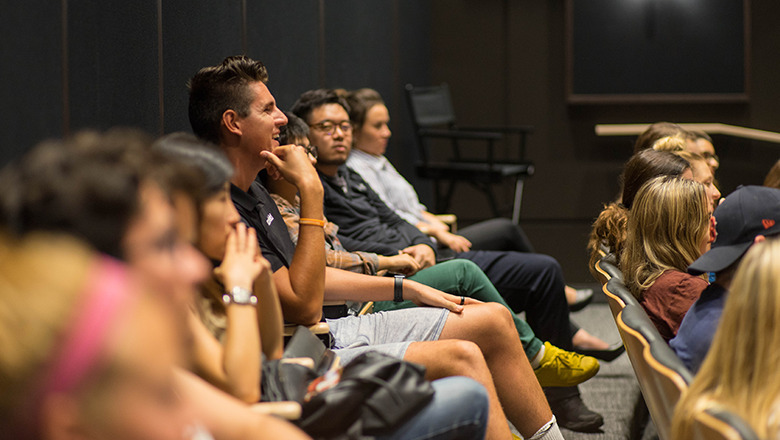 This program provides you with the foundation to enter the industry as a critic, reviewer, archivist, and also provides you with the skill set to continue on to graduate school in Film Studies, Film Production or any other area within the film and media discipline. Dodge College offers an Integrated Undergrad-M.A. Film Studies degree enabling students to graduate with an M.A. in Film Studies in five years as opposed to six. Evaluate and analyze historical and theoretical perspectives relevant to film and media, such as genre, form, spectatorship and narrative. Electives include all courses offered by the Dodge College of Film and Media Arts. Program Learning Outcomes and Educational Effectiveness Evaluation Plans for B.A. in Film Studies. Get a head start on your M.A. in Film Studies by enrolling in graduate courses and graduate with your M.A. in Film Studies in just five years.